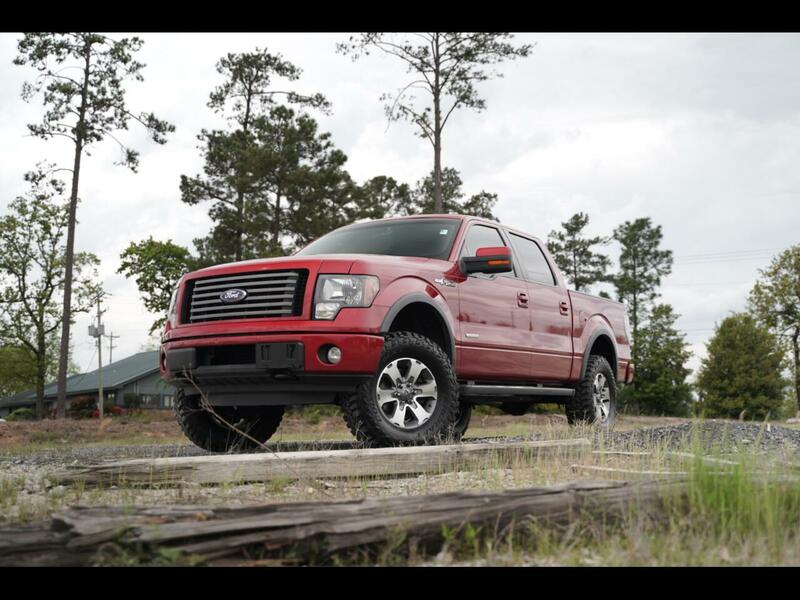 2011 FORD F150 FX4 SuperCrew 4WD, V6, EcoBoost, 3.5L, AUTO! Inside you will find charcoal grey cloth, AM/FM radio, XM radio, CD Player, Aux port, Cold AC and hot heat, steering wheel controls, cruise control, digital vehicle information center in dash, sunroof, auto headlights, fog lights, rear parking sensors, rear middle window slides, bed liner, side steps, tinted windows, power windows, power door locks, power mirrors, tow package and MORE! If you want to know more about this Ford or any of our other inventory, please give us a call 803-808-5235 OR stop by and take a test drive TODAY!